Every morning, most of us – including myself – are guilty of waking up, standing on the two legs we were born with, and not even thinking twice about it. To compliment that, we proceed to the kitchen to eat breakfast with both of our unaltered upper extremities, without realizing how fortunate we are to be able to do so. Recently, I was presented with an opportunity to partner with my good friend and CEO Doug Brown and his company Prima Technologies to travel to Western Asia. 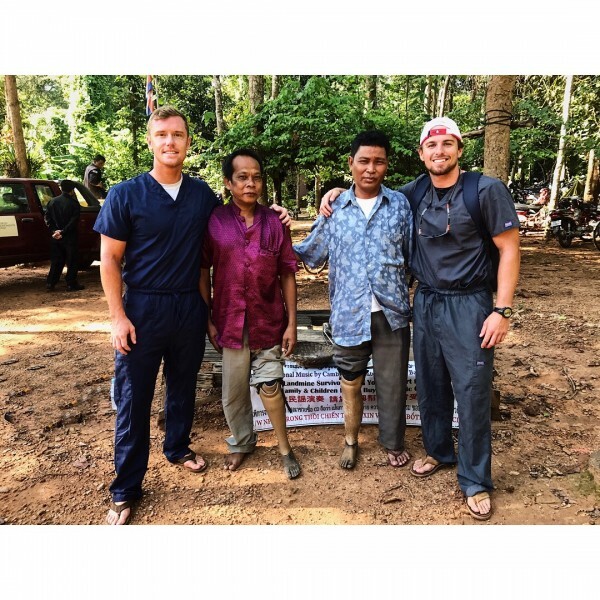 On this trip, we were able to spend several days assessing the global need and accessibility for those with prosthetics in rural Asia, where most injuries were related to mining incidents. From the start, we knew that in some of the remote areas we were traveling that there would be little to no budget and that affordability was a major issue that we would be addressing. On this eye-opening experience, we learned that residual limb patients, on top of lacking personal funds, generally had little to no access to government supported benefits for prosthetics. Patients who did have products, in most cases received them through global support and relief efforts like the WHO and its subsidiaries. The prosthesis utilized by the local people was rudimentary in function and almost always resembled a mannequin related to the lack of biomechanics to simulate life-like movements. More so, as these global efforts normally happen in waves of Western World funding, all of the prosthetics were worn and falling apart from years of use. Prima Technologies was founded to provide top-tier health care products to the middle and lower social classes both foreign and domestic. Standards for “top-tier” however can result in different healthcare options depending on environmental, economic and social implications of the regions aimed to support. For progressive countries such as the United States, most of Europe and countless others with expansive health care infrastructure it is the goal of the company to sell high-end prosthetics to patients who can afford the budget criteria. The high-end prosthesis undercuts industry-leading prices by close to 75%. However, Prima Technologies’ high-end prosthesis price includes the 1 for 1 Initiative. Every time a high-end prosthesis is purchased a secondary more robust version is funded for developing global countries. The high-end prosthesis includes touch sensing, gesture control, and advanced variable grip strengths all wireless synced to smartphone platforms. These electronic based features are not feasible for developing countries for a variety of reason such as environmental conditions (humidity, monsoon season, rough terrain), maintenance, power supply and financial support. Thus the secondary, or lower-end, robust prosthetic arm is designed to operate strictly on elbow/shoulder biomechanical movement and no electronics. Functioning without the use of any additional electronic equipment, the secondary product would be drastically more beneficial in third world countries where the use of smartphones is relatively nonexistent. Both the high-end and secondary prosthesis use the same finger and hand mechanics for precision gestures and variable grilling strengths. Through taking the time to travel and assess the products currently in use, paired with the prevalent demand, we were able to gain vital information pertinent to the 1 for 1 initiative. Arguably the greatest feature of the high-end product; the 1 for 1 initiative provides the opportunity to support and potentially improve the physical, social, and emotional health of those financially hindered. As for now, the company plans to utilize this data gathered to better manufacture a high functioning secondary product, at a relatively lower cost of production to improve the holistic health of those individuals in need. All in all, the trip allowed us to connect with the local people, and connect with future candidates. The assessment provided valuable, relevant information to the life cycle engineers in Prima Technologies and allowed us to connect with our future candidates on a more personal level. For myself, it revitalized my gratitude for even the simplest routine tasks in my everyday life. At the end of the day, we are all human and none of us should be denied the opportunity for good mental, physical, and emotional health!